OGDEN, Utah (September 26, 2017) — The Suunto Spartan family grows today with the introduction of the new Spartan Sport Wrist HR Baro, a GPS multisport watch with wrist heart rate measurement and an air pressure sensor for more precise altitude readings. Additionally, the entire Spartan collection receives a software update to introduce sleep tracking, route navigation improvements, sunrise/sunset times, and alpine ski features. Advanced navigation features brought by the forthcoming software update include route navigation improvements with estimated time of arrival (ETA) and remaining distance to destination. Point of Interest navigation is improved with approach alarms (the watch will display a clear on-screen notification when nearing a pre-defined POI). Sunrise and sunset times are available both in daily use and during a sport mode, thus improving safety when adventuring out in the wild. The Spartan Ultra and Spartan Sport Wrist HR Baro will also deliver storm alarms based on changes in air pressure. Launched in June 2016, Suunto's activity-specific heatmaps help you to find the best places and routes for your workouts, whether you want to find the most popular places or avoid the crowds. Since launch, millions of new Moves have been logged into the Suunto Movescount database, and to keep the heatmaps shining, logs from the new Moves will be updated for all of the 16 sports by end of October, creating an even brighter and stronger network of routes and training locations. The heatmaps are publicly available for everyone at movescount.com and don’t require login. Just choose your preferred area on the map, select one of the 16 sports, and zoom in to see the most popular tracks for trail running, cycling, open-water swimming, skiing and more. Based on the heatmaps, you can plan your own routes in Suunto Movescount and transfer them to your Suunto GPS watch for navigation. Battery life of the Spartan family has grown throughout the year, and the Spartan watches now are even better suited for outdoor adventures. The flagship model Suunto Spartan Ultra offers up to 35 hours of accurate GPS tracking (1-second GPS fix with power saving options), and when the GPS tracking is adjusted to 1-minute mode with power-saving options, it can run up to 140 hours, enabling even longer activities. Like the Spartan Ultra, all watches in the Spartan family now deliver extended battery life. The software update introducing the new outdoor features to Spartan collection is scheduled for October 17 and will coincide with the retail introduction of the new Spartan Sport Wrist HR Baro (RRP $549). 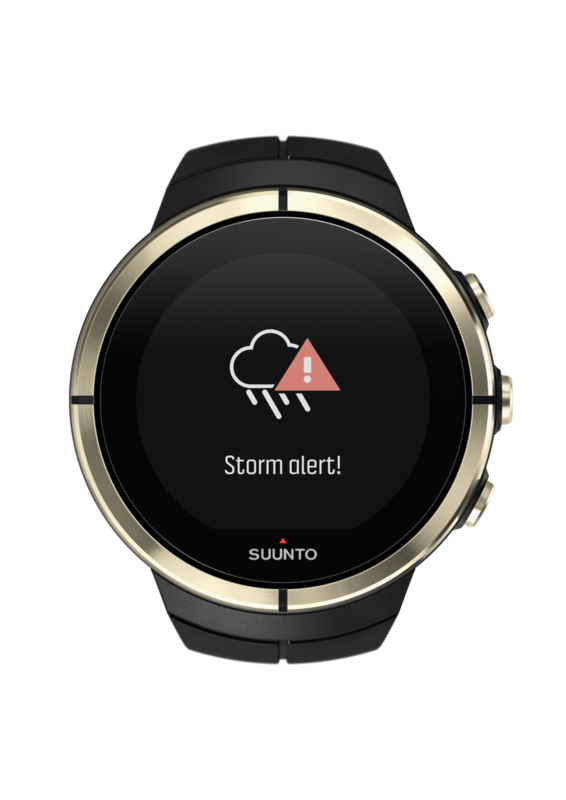 Read more about the Suunto Spartan software update at www.suunto.com/. Get to know the new Spartan Sport Wrist HR Baro at www.suunto.com/spartansportwristhr.